Multi-drug resistance and transfer of mobile genetic elements among enteric pathogens is being reported to have increased rapidly. Commensal Escherichia coli was previously known to acquire mobile genetic elements from other genus/species. E. coli is also capable of disseminating these elements containing antimicrobial resistance determinants through horizontal transfer. Similarly, for Shigellae the antimicrobial resistance are on rise for fluoroquinolones and cephalosporins due to accumulation of mobile elements. 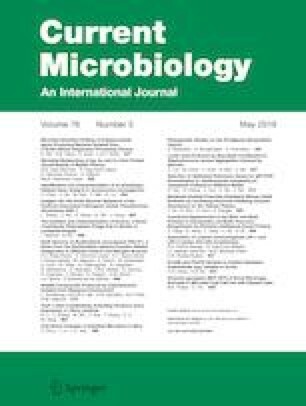 Thus the study was hypothesized to investigate the role of transferable plasmids in commensal MDR E. coli vs Salmonella spp, and MDR Shigella flexneri vs Salmonella spp. pKP3-A plasmid containing qnrS1 was successfully transferred from E. coli to Salmonella spp. Similarly, a plasmid containing qnrS1 and blaCTX-M-15 was transferred from Shigella to Salmonella spp. However, blaCTX-M-15 was not transferred from E. coli as it was integrated into chromosome that was revealed by next-generation sequencing. This might be a reason that fluoroquinolone-resistant determinants are more frequently transferred than the cephalosporin resistant determinants. Findings from the study emphasize that mobile elements with AMR determinants are significant public health concern that has potential to rapidly disseminate. The authors gratefully acknowledge the Institutional Review Board of the Christian Medical College, Vellore (83-i/11/13) for approving the study and providing lab space and facilities. The study was funded by the Indian Council of Medical Research (ICMR), New Delhi (Ref. No: AMR/TF/55/13ECDII dated 23/10/2013).